To migrate all existing Shared Favorites to new Folders for sharing via Bursts. Use this utility when updating Metric Insights from a release prior to 5.2 and later releases. 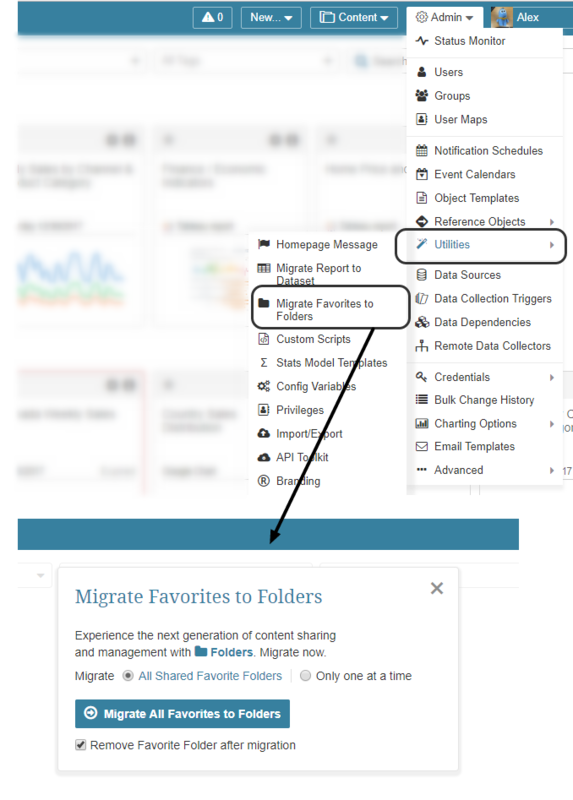 Using the path Admin menu > Utilities > Migrate Favorites to Folders, Admins are provided with a migration utility to convert existing Shared Favorites to Folders. Grant the original Owner of the Favorite exclusive ability to modify its content (sharing with the old "Maintain" capability is not supported). Retain or delete existing Shared Favorites. If retained, they will be for use of the creator ONLY and no longer be shared with other Users. 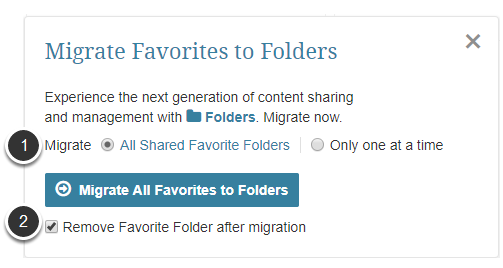 Migrate elements only to Individual Users (USE CASE: if Favorites folder was originally shared with a Group, the new Folder will be shared with all members of the Group as individuals rather than sharing at Group level). 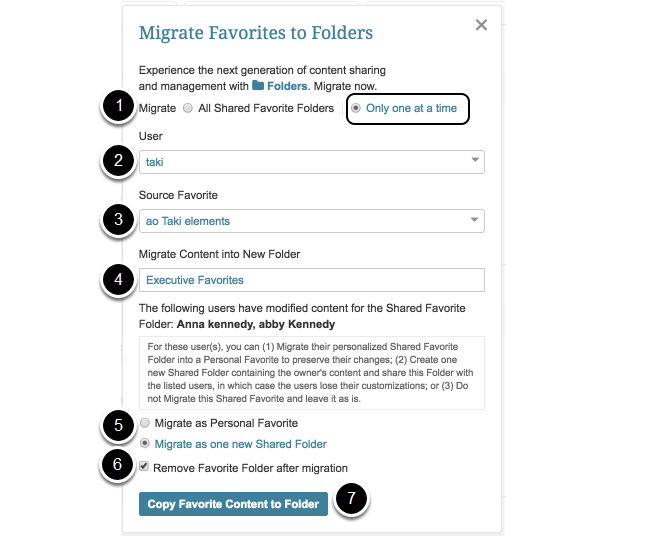 Do not migrate Shared Favorites that are included in Slideshows. This is a known limitation that will be corrected in a future release after 5.2.1. Shared Favorites are not supported in 5.2 and beyond. 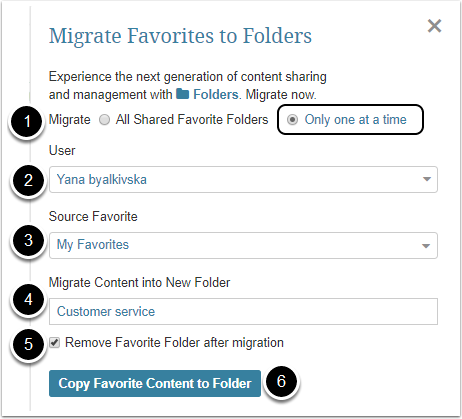 Select Migrate option "All Shared Favorite Folders"
Indicate if the Shared Favorites should be Removed; if not checked, the Shared Favorite remains as a Personal Favorite of its creator after the migration but is no longer shared and only appears on that User's Dashboard. This set of options is only available to Users who received a Shared Favorite from someone else and subsequently modified the content. New Folder is created with the User's modified content and is not shared with anyone.